Charming Charlie’s mission is to delight women with fabulous accessories and give them a pep in their step. Looking good makes you feel better. 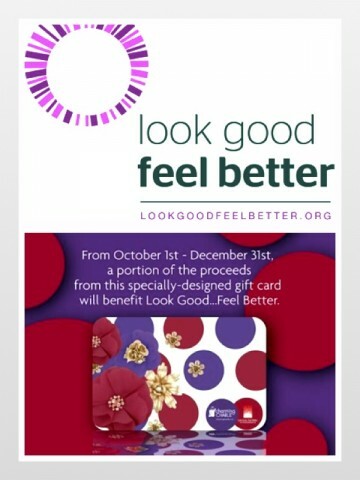 That’s why it made so much sense to partner with and support Look Good…Feel Better – a non profit that trains women on how to use accessories, wigs, cosmetic and skin care products during the cancer treatment process. Their mission and ours were so much aligned, we partnered with them for two years.